First and foremost, be respectful and quiet. Rue Cremieux is both a residential and commercial road, so there are people trying to live or work their 9 to 5 jobs in the brightly colored buildings! Make sure to stay aware of your surroundings for people trying to get in or out of the houses. Try to keep your noise level to a minimum as walls in Paris are notoriously thin. 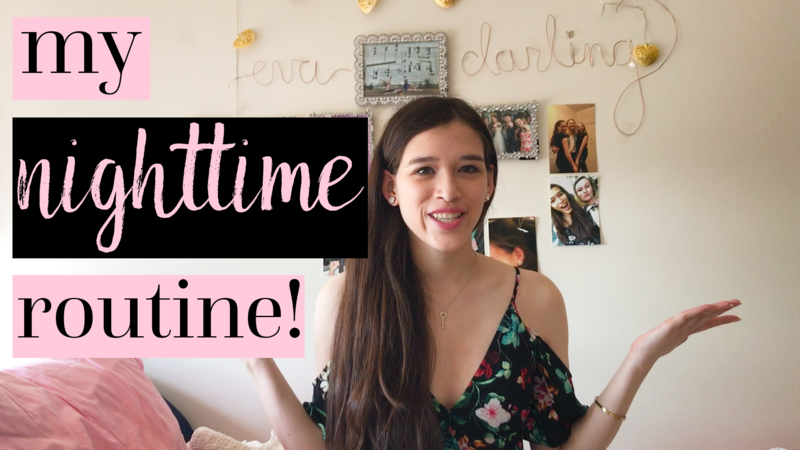 If you don’t want yelling outside of your apartment, chances are that they don’t either! 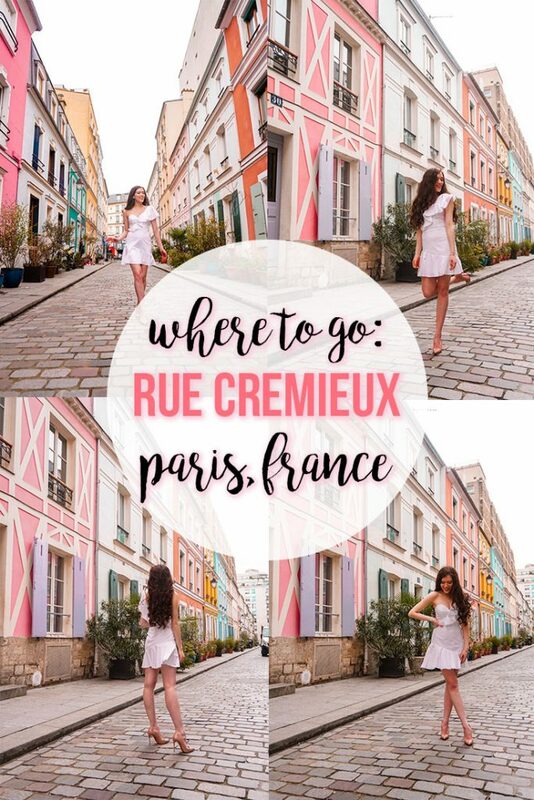 Rue Cremieux isn’t necessarily in the most difficult location to get to, it’s just a little tucked away! It is a small, narrow road, so my friends and I almost walked right past it when trying to get there. It’s a hop and skip away from Place de la Bastille and Gare de Lyon in the 12e Arrondissement. 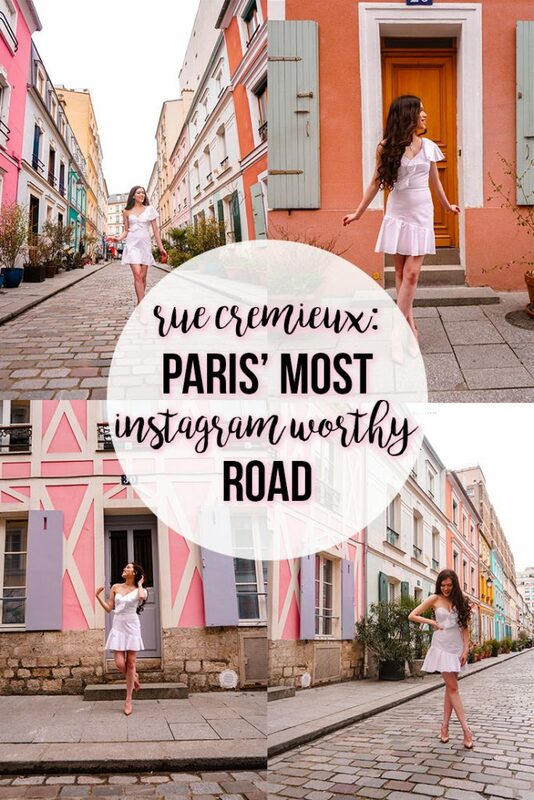 While I love a good contrasting color pair as much as anyone, there’s SO many colors on Rue Cremieux that it would be difficult to find a color to wear that matched the road better than a neutral color such as black or white! I personally opted for white to be sure that my dress popped against the bright colors. 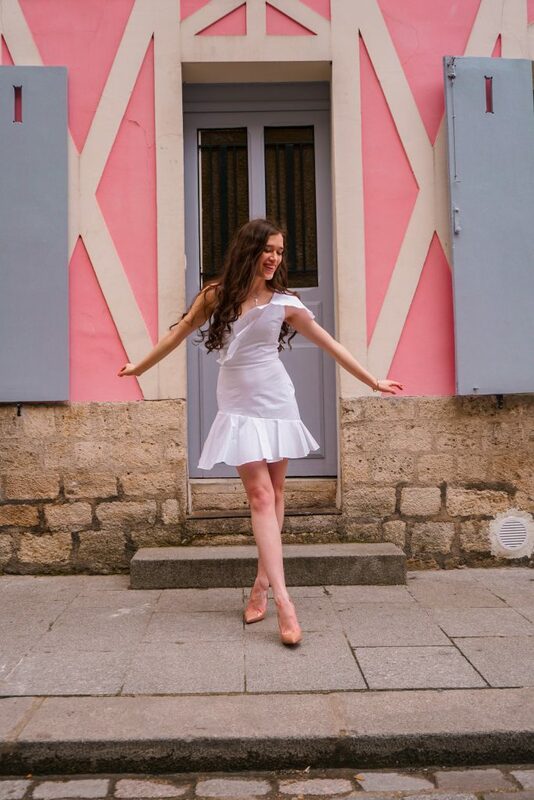 The white dress I’m wearing in these photos is a favorite of mine for all the ruffles! Click here to shop it. While getting to a location super early is usually my preferred method of choice, I don’t think that arriving at the crack of dawn is necessarily necessary for Rue Cremieux. My friends and I arrive around 2pm, and had the road to ourselves. We were joined by only a few other groups of people twenty or so minutes later, but because Rue Cremieux isn’t the most well known location in Paris yet, it doesn’t have the same buzz that Trocadéro or the Louvre does. Keep in mind that we were there during Paris Fashion Week, the very first couple days of March. During peak tourist season in the spring and summer, the road may be busier. Again, if you do elect to go early in the morning, please be mindful that many residents may still be sleeping. 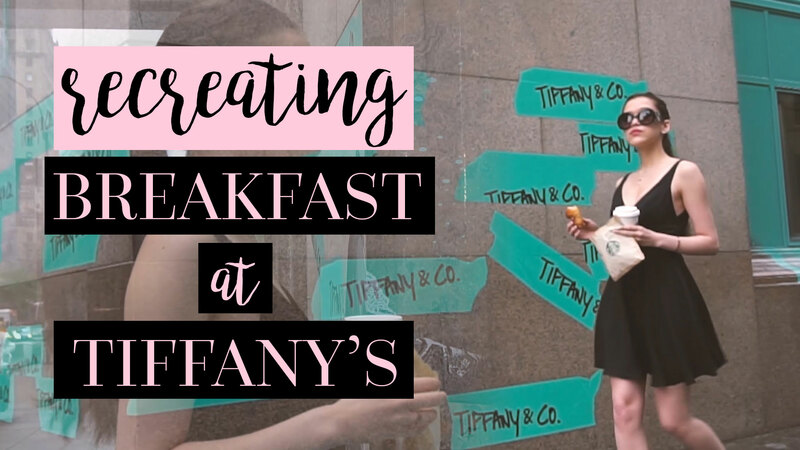 Be sure to check out my shopping guide to Paris by clicking here, my guide to ordering in French here, and my guide to the hidden spots you might not have known about here. 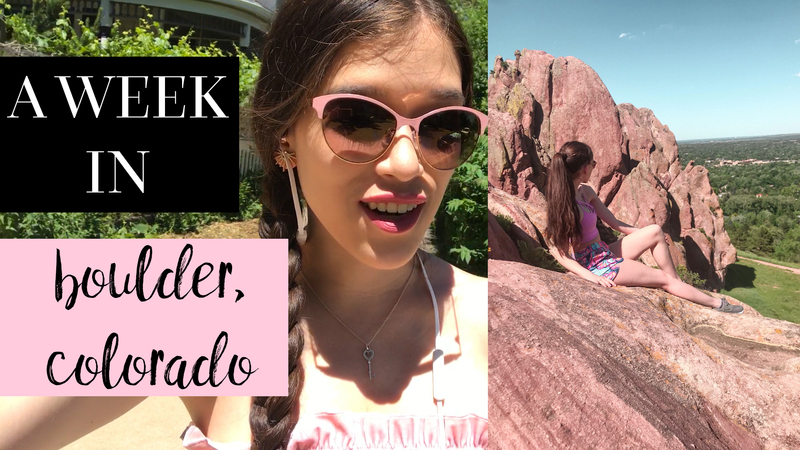 Below everything I’m wearing in this post is linked! 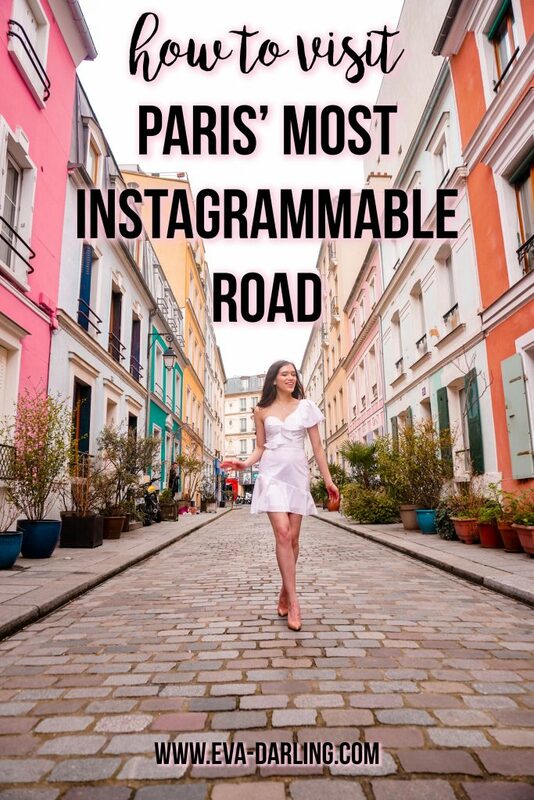 "A Single Girl’s Guide to Paris, France"
"Styling a Midi Tulle Skirt in Paris"
Love these photos! I was just reading an article about Rue Cremieux and how everyone needs to be respectful because they are thinking of putting gates on the streets that will be closed on weekends. This is by far the cutest place I’ve ever been!! !